*Customized selection of six wines at each location. Bordeaux remains one of the world’s greatest wine regions. Today Bordeaux is home to a new generation of winemakers, each producing wines in their own unique style. While the press and the attention most often go to the highest profile estates in the most famous communes, the real gems come from the lesser-known appellations throughout Bordeaux. Bordeaux is about enjoying the moment with a wine that suits your palate and setting. 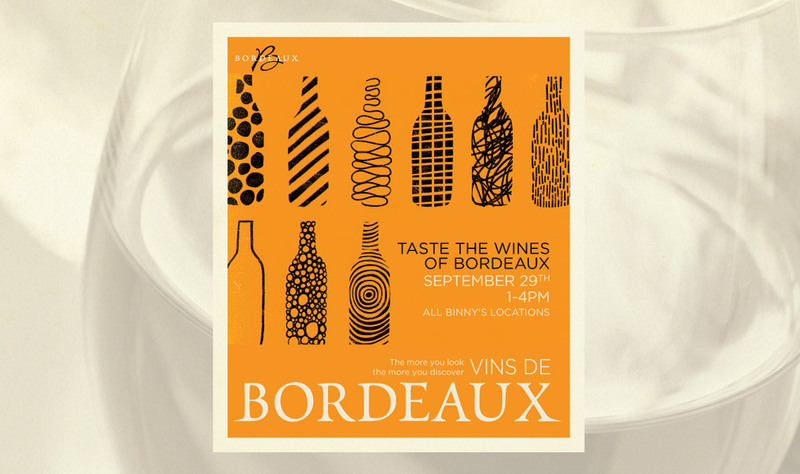 Today's Bordeaux is perfect for both a special occasion or just enjoying with friends out on the patio. From the crisp whites made primarily with Sauvignon Blanc and Sémillon, through the satisfying, lush Merlot based wines of the Right Bank, to the full, firm Cabernet based wines of the Left Bank, you can find the perfect Bordeaux wine for any time. And don’t forget sweet Bordeaux - Sauternes and its friends - luscious, versatile wines that are not just for dessert.